This gray Mod Pod 2 Modular Pocket from Protec is a modular pocket for storing camera gear that can be easily added or removed from select Protec cases via a touch-fastener attachment panel. It features a protective padding and an elastic drawstring closure. 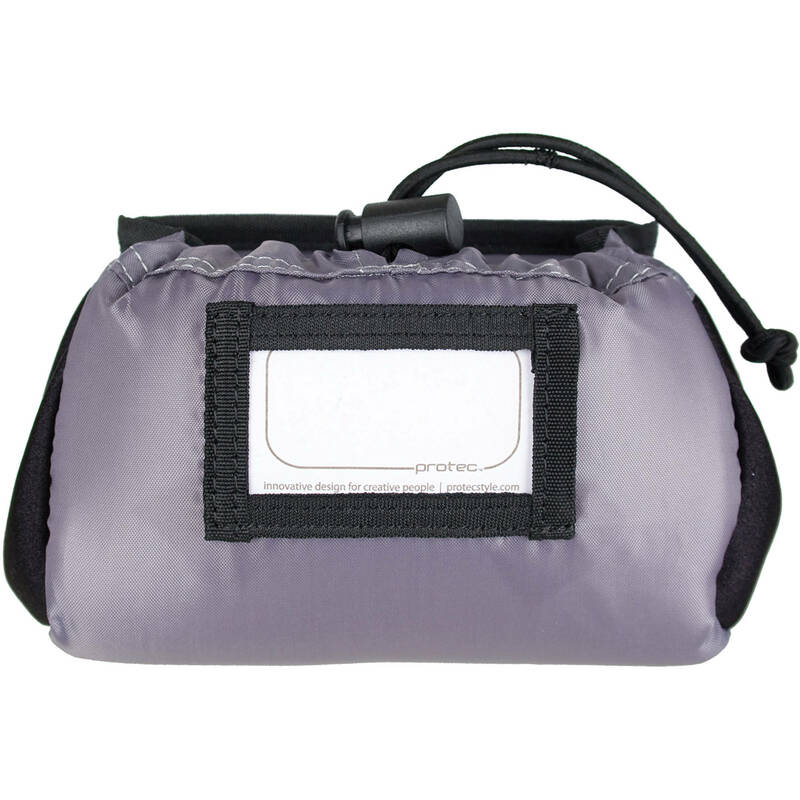 For organization, there is a clear ID window allowing you to designate the interior contents of the pocket. 6.5 x 4.5 x 2.5"
Mod Pod 2 Modular Pocket is rated 5.0 out of 5 by 2. Rated 5 out of 5 by Jon from Useful Item Bought 2 and liked them so bought 2 more. These were purchased to protect items we send to trade shows. The padding just what we need to protect small items. The clear window is great because we can label the contents. We looked at many competing products and NONE had that feature. There two sizes. Rated 5 out of 5 by Jon from Great Product These were purchased to protect items we send to trade shows. The padding just what we need to protect small items. The clear window is great because we can label the contents. We looked at many competing products and NONE had that feature. Bought 2 and liked them so bought 2 more.